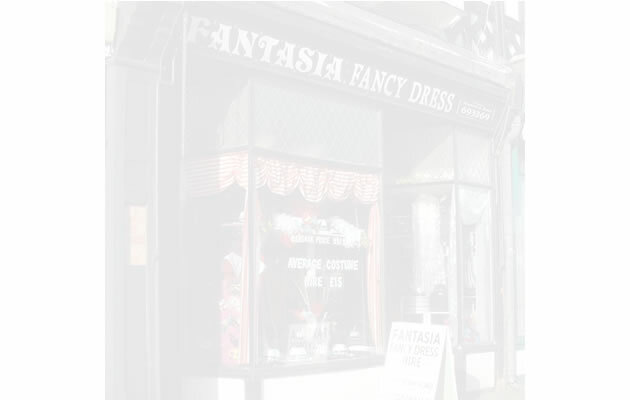 Fantasia Fancy Dress began 30 years ago from Maureen Ross's home in Lancing (which many of our present customers remember) as a hobby whilst her children were growing up, progressing over 15 years ago to larger premises close to the Thomas A'Becket. Many of the costumes are made by Maureen, but in addition we are regularly buying in stock from national and international suppliers to offer the widest choice possible. Costumes are continually renewed and updated in order to achieve the best quality and service available. Now after 30 years, Maureen has returned to Lancing where her vast stock of costumes are stored at home, and from where she intends to work for many years to come. As a matter of interest, in her spare time, Maureen is a musician for Sompting Village Morris Dancers who perform both nationally and abroad, and her husband Rob plays popular Irish music in the local group, Foreman 5, performing at all types of entertainment venues, both private and commercial. If you are interested in bookings, please contact Maureen at Fantasia.